Meet & Greet with Mickey & Minnie – might not seem “fastpass” worthy to some – but – again – my son is 3, so – meeting Mickey and Minnie is pretty much top on his Disney wish list, so I want to make sure he gets to do it! Obviously, these Fastpass+ picks are chosen mainly with my almost 4-year old in mind, since it’s his first trip, I want to make sure he is seeing things tailored to his interests, and I really hope he loves what I picked! What about you – what are your and your family’s must-do Fastpass rides/attractions at WDW? She’s had MANY looks throughout the years, but one thing remains the same – Minnie’s style is iconic and classic and always amazing! This would make a perfect gift for your other half, don’t you think? 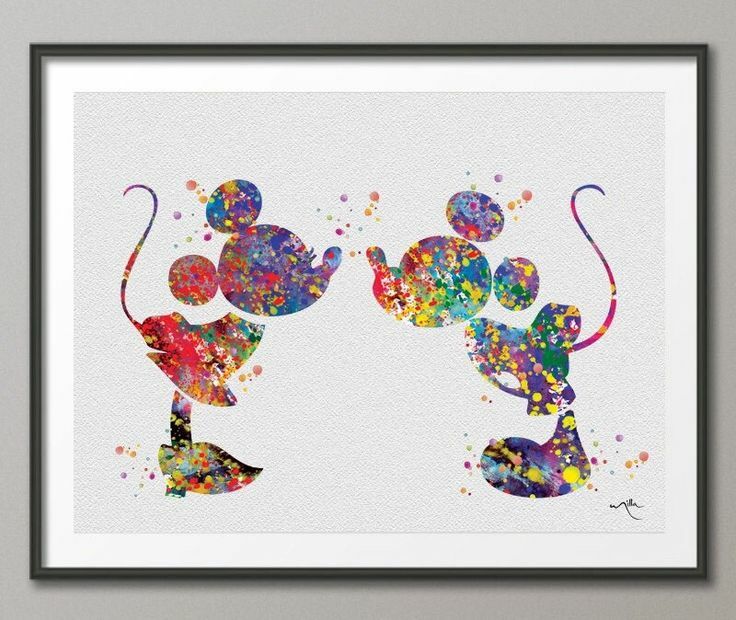 Hopefully this inspires you to create/purchase some Disney art for your home – I can’t imagine a better way to perk up my day than a great Disney print hanging on my wall!